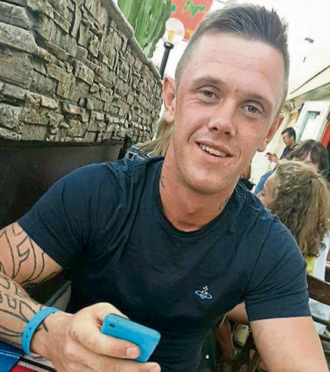 Motoring enthusiasts will host a car cruise in the city today in memory of Shaun Allan who was killed in a crash last year. The 26-year-old, who lived in Westhill, Inverness, was a passenger in a Ford Focus RS on his way to work when it careered off the B851 at Farr, ploughing through a garden fence before hitting a tree. Emergency services rushed to the scene to free him from the wreckage, but he succumbed to his injuries. In an effort to keep his memory alive and mark his 27th birthday, his best friend Darren Cameron, 25, is hosting a car competition at Inverness Retail Park, followed by a slow cruise to Bogbain Farm for a barbecue and fireworks display. He said: “My best mate was a passenger on the way to work and the car came off the road and collided with a tree. Hundreds of motorists are expected to turn out in support of the event, which also aims to raise funds for Mikey’s Line. It’s a charity which Mr Cameron says is a cause “close to a lot of people” in his age group. Police have warned motorists to ensure the event remains a success for all involved. Sergeant Alasdair Mackay from the Road Policing Unit said: “The majority of people attending this event are law-abiding motoring enthusiasts. We would like to take this opportunity to remind those attending to ensure their vehicles are roadworthy and be considerate to other members of the public. “We all have a responsibility to use the road network safely and anyone participating in anti-social behaviour such as wheel-spinning and revving or other offences such as speeding, using mobile phones while driving and driving under the influence will be dealt with accordingly. “Drivers are reminded they could face court action or have their vehicle seized.